There will not be an IICO Workshop in Barcelona this year. Next year, ESHRE will be in Vienna and the Austrian colleagues have already started to organise a workshop there. In July 2017, IICO together with the Swiss Fertiforum held a workshop on infertility counselling on the Saturday prior to the ESHRE conference. We have just put all the presentations online and you can download them as PDF documents. If you subscribe the news (see “stay informed” when you scroll down) you will automatically receive the invitation for the next workshop. 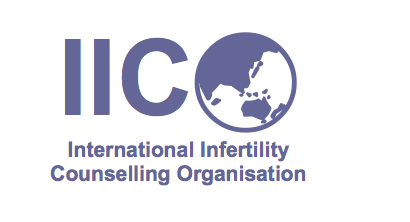 IICO is short for the International Infertility Counseling Organisation. IICO is the international umbrella organization for national fertility counseling organisations. Our goal is to bring together professional organizations and individual practitioners in infertility counseling worldwide in order to facilitate the sharing of knowledge and experience and in order to further the development of infertility counseling. There are currently over 10 national organizations and we strive to hold a work-shop every two years in conjunction with international conferences. If you are interested in events, browse our website and subscribe to our blog (see below). If you are interested in contacting like-minded professionals in other countries, send them an email. If you have any questions regarding IICO or suggestions you would like to make, please use the contact form to be in touch with us. PS. Parts of this website are currently work in progress. If you seek information but cannot find it, let us know! … and inform your colleagues! Would you like us to inform our international colleagues about news in your country? Send us an email with the relevant information by using the contact form below. You can access the IICO News Archive here and read all previous posts.